Hi everyone! 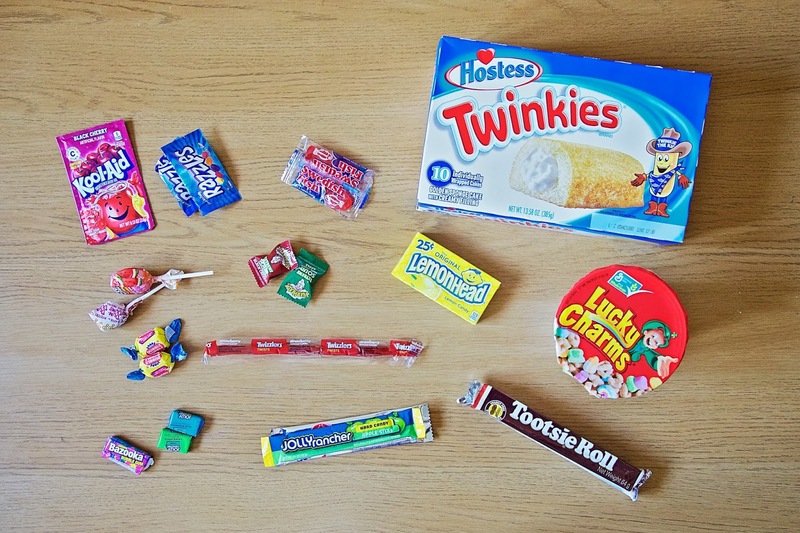 I've got something a bit different for you today, a little American candy haul that I actually bought for my brother's birthday (he loves this kind of stuff) but as I managed to get a lot of it quite cheaply I thought I'd share it with you. It isn't necessarily difficult to find American candy these days, even my local Tesco Express stock some, and there are many specialist sweet shops that import them too from Mr Simms Olde Sweet Shoppe on my local high street to Sweets From Heaven at both Lakeside and Bluewater, American food is now really accessible. It isn't, however, cheap. What I really wanted to buy was a gift box of preselected candy so that I wouldn't need to buy lots of individual sweets. I browsed Google looking for such items, of which there are quite a few, but it was this one from Dandy Candy that caught my eye the most. Offering a huge selection of sweets, a number of gift options and, most importantly, free P&P on everything, it is safe to say I was pretty impressed. 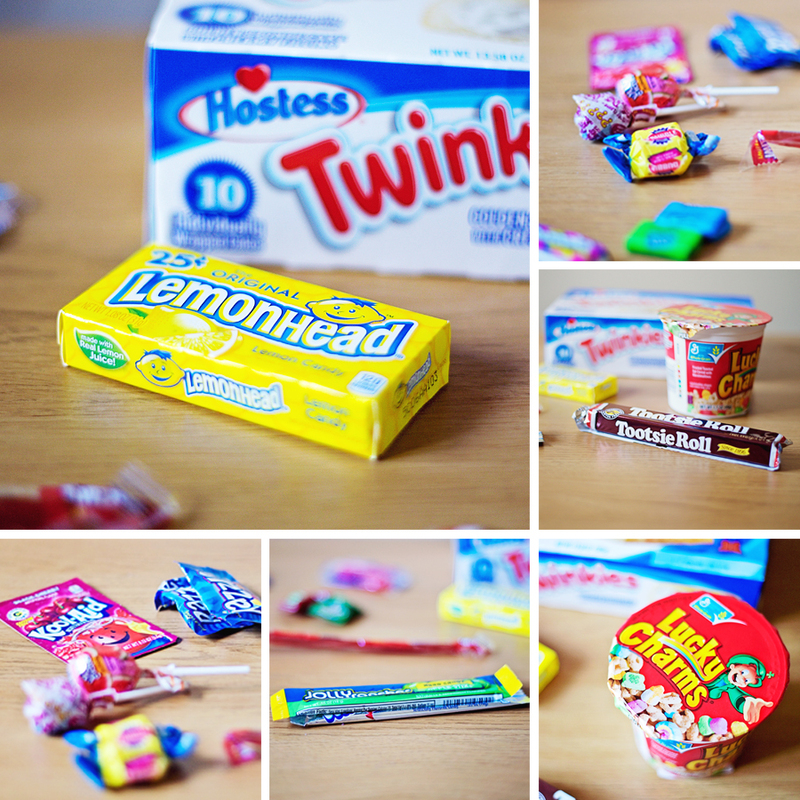 The American candy boxes range from £5.50 for a letterbox size box up to £24.95 for a hamper and you can choose between Candy, Chocolate and Wonka themes. 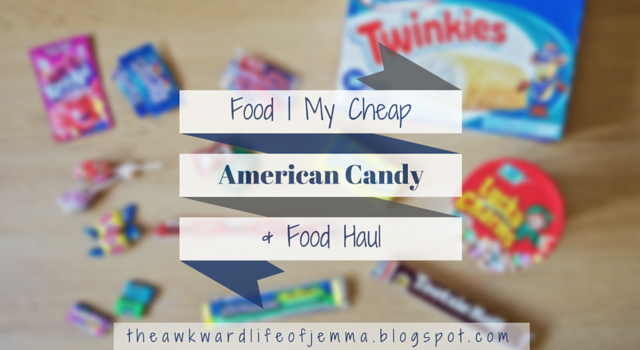 I went for the American Sweets and Candy Gift Box which was only £5.75 which I think is a bargain considering you get a good selection of sweets AND it includes delivery! Being letterbox friendly it meant that I didn't have to worry about waiting for a delivery and the box itself is very bright and fun, perfect for giving as a gift. I couldn't resist taking a peek inside the box to see what goodies it had been filled with. The first thing I noticed was the Lemonhead box as this was by far the biggest thing in there. I imagine they'll be like little sherbet lemons, except without the sherbet? Next there was a Twizzler and a couple of chew bars, I've heard that Jolly Rancher's are really good so I think my brother will enjoy this one. I also pulled out a Kool-Aid sachet which is such an iconic American product! Next up there were two lollipops and a lot of individually wrapped sweets including Razzlers (I have no idea what they are!) Dubble Bubble which I'm sure we've all heard of, more Jolly Ranchers and some Warheads. I think the most random sweets have to be the Swedish Fish! To supplement the gift box I then went to my local B&M store. It isn't the first place I would normally think of for American food but I had spotted it in there before so I decided to try my luck. At the end of the aisle after all the other sweets and biscuits was a whole stack of shelves dedicated to American confectionary. 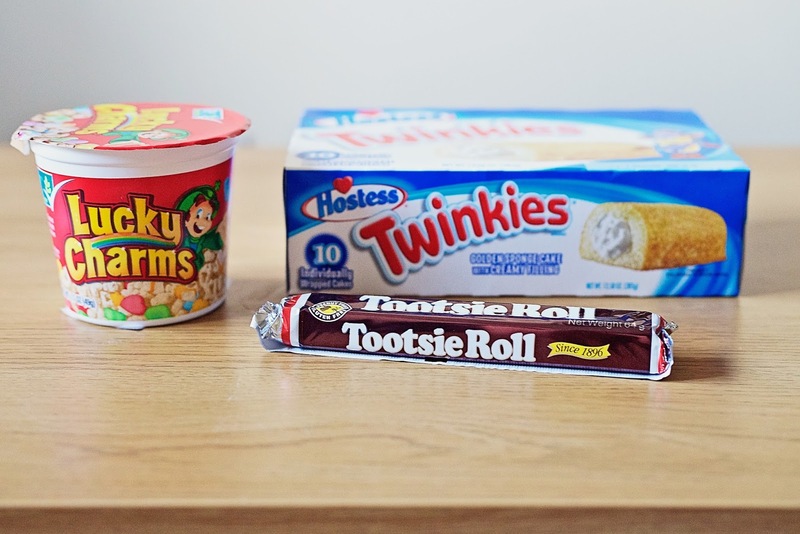 I picked up an individual carton of Lucky Charms (£0.99), a Tootsie Roll (£0.59) and a box of Twinkies (£2.99) but I honestly could've got loads. I know the Twinkies were a bargain because in Tesco they were £7.50!! There were also Butterfingers, many different forms of Reese's Peanut Butter, Cookie Dough Bites, Twizzlers and many more, that I can't remember, with many of them priced at only 99p! One of the best things, that I really regret not buying, were little pre-filled pick 'n' mix style cups that were crammed full of American Candy. I think they were about £1.99, but they may have been £2.99, but they probably had at least the same amount of candy as the Dandy Candy box did simply because they were so stuffed! Now I can't promise that all B&M store's have such a good selection of American food as I think it may range from store to store (I can't find anything on their website) but it is definitely worth having a look if you have one near to you. I now really want to do a 'trying American Candy' post which I know everyone and their dog has already done but you can't deny that it looks like so much fun! With so many different products available, and so cheap too, I'm sure it won't be too long before I give in and have to buy some for myself to try!